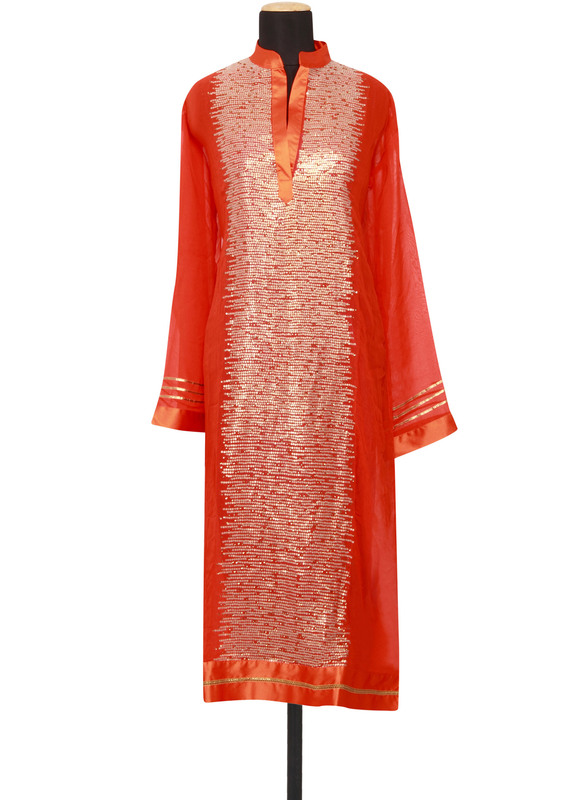 Featuring orange georgette semi-stitched salwar-kameez. Embellished in gold sequin all over. 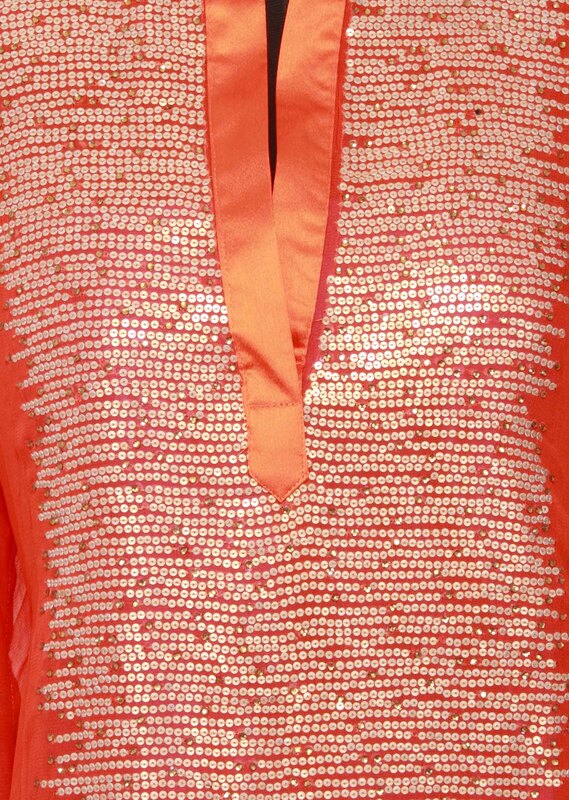 The neckline has attached satin orange chinese collar. 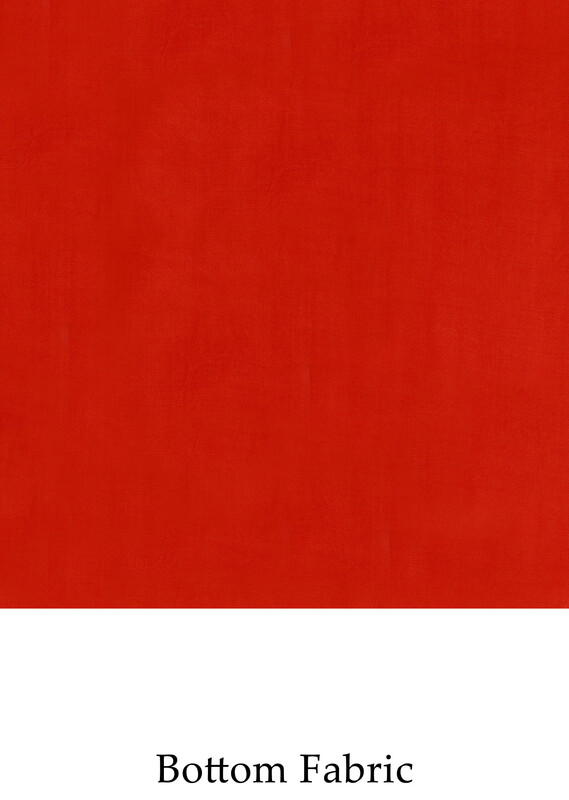 The border is in satin orange. 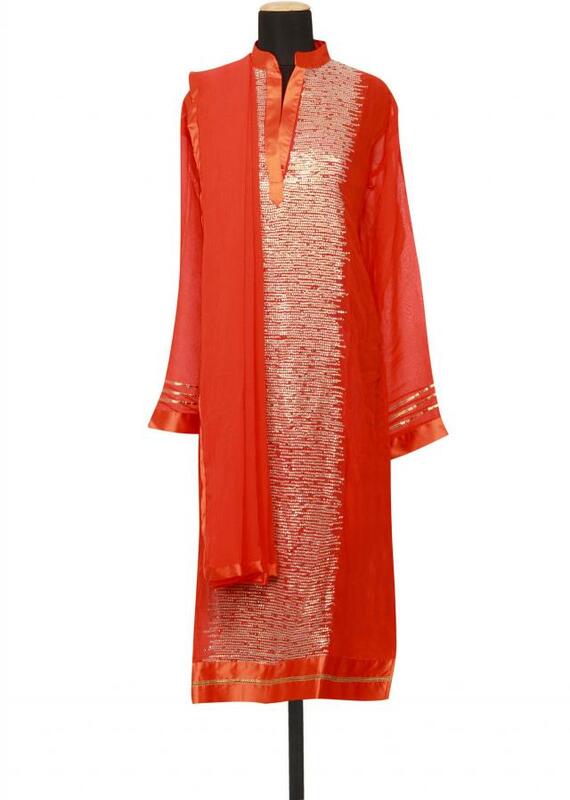 Dupatta is in orange georgette with satin orange border.